Judy L. Saltzgiver, 67, of Sloan, Iowa died Tuesday, September 11, 2018 at her residence. Memorial services will be 10:30 A.M. Monday, September 17, 2018 at the Evangelical Covenant Church in Sloan, Iowa with Pastor Richard Moore officiating. Arrangements are under the direction of Rush Family Care Service, Onawa, Iowa. Judy LaViece was born May 29, 1951 in Onawa, Iowa the daughter of Loren and Donna (Brenden) Williams. She was raised in Sloan, Iowa, where she graduated from Westwood High School in 1969. She then attended Western Iowa Tech Community College in Sioux City, Iowa. Judy and Gene Saltzgiver were united in marriage on January 28, 1984 in Sloan, Iowa. Judy worked as a cook for many years at Truck Haven, The Palmer House, and WinnaVegas. 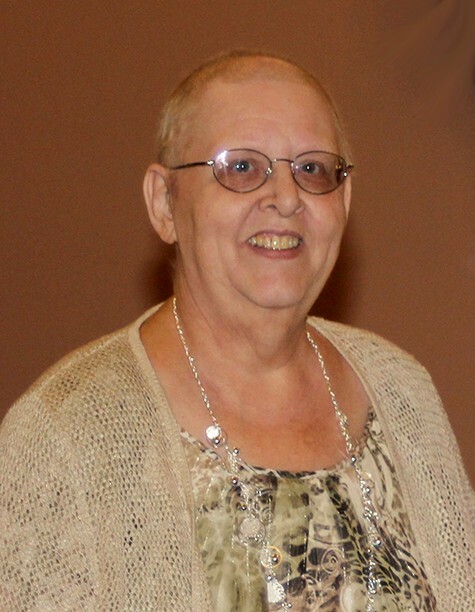 She had a love of crafts, especially sewing, and was passionate about reading, road trips, and class of 1969 gatherings. Judy was a member of the Evangelical Covenant Church in Sloan. Judy is survived by a daughter and her husband, Melody Jean (Paul Moore) Saltzgiver; three stepsons, Jason Saltzgiver of South Sioux City, NE, David Saltzgiver of Sioux City, IA, and Daniel Saltzgiver of Sioux City, IA; four grandchildren, Christian Lee Williams, Grace Evalynn Williams, and Isabelle Marie Williams, all of West Point, NE, and Jeremy Gene Saltzgiver of South Sioux City, NE; and her mother, Donna Williams of Sloan, IA. She was preceded in death by her husband, Gene Saltzgiver; her father, Loren Williams; her maternal and paternal grandparents; and one son, Jeremy Williams.